Brian Mosbaugh is the artistic creator and editor of Slackline Media. He lives a simple balanced life traveling the world, seeking out wild experiences, learning about diverse cultures/languages and documenting his passion pursuits. 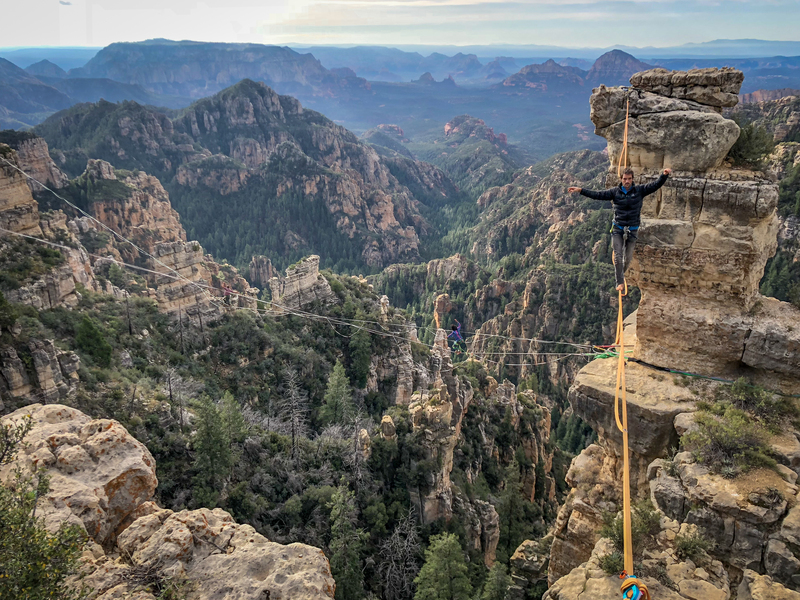 Based out of Moab, Utah, he collaborates creatively with talented BASE jumpers, rock climbers, slackliners, acroyogis, filmmakers and environmental conservationists to explore the limits of outdoor adventure living. As one of the founding members of the Moab Monkeys, Brian strives to inspire others to play responsibly in nature and to create a relationship of respect, adoration and awe for its beauty and necessity. One thing is for certain, Brian loves the outdoors and so can YOU!